"The 1989 NCHSAA State AAA Football Champions Kannapolis Wonders"
On Sunday December 10, 1989 the Wonders of A.L. 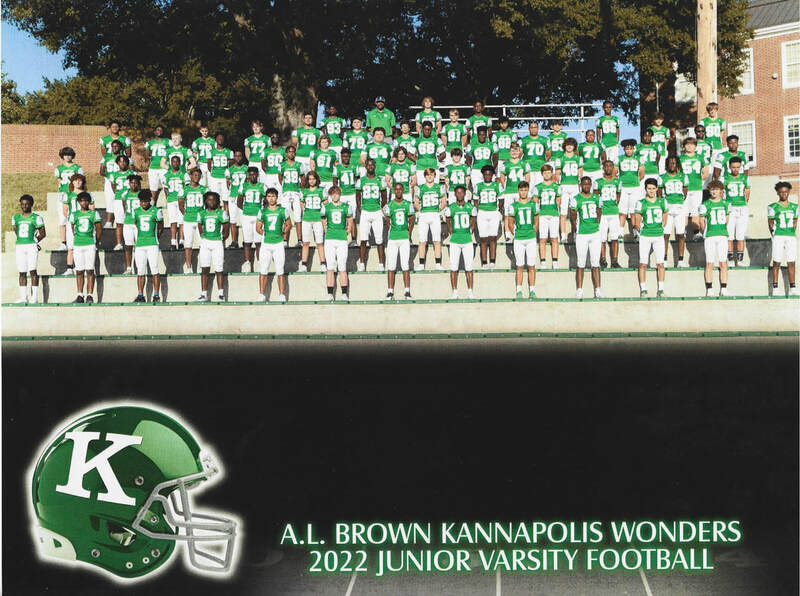 Brown High School in Kannapolis defeated the defending State 3A Champion Hugh Cummings Cavaliers of Burlington 24-0 at Kenan Memorial Stadium in Chapel Hill. The win gave the Wonders their first ever State 3A Championship in school history. The Cavaliers had boasted all year of becoming back to back state champs, but little did they realize the amount of resolve they would see in the Wonders who were hungry for their first. The Wonders who led 3-0 going into the half put up twenty one unanswered points in the second half against the shell shocked Cavaliers who were not only beaten for the title, but shut out in the process snapping a twenty nine game winning streak. Pandemonium erupted in the cold December night in Chapel Hill as the Wonder faithful who traveled some six thousand strong saw their beloved Wonders capture their first ever undisputed state AAA football championship. 1. Wonders would rack up 424 points for the year only allowing their opponent 160 points. 2. 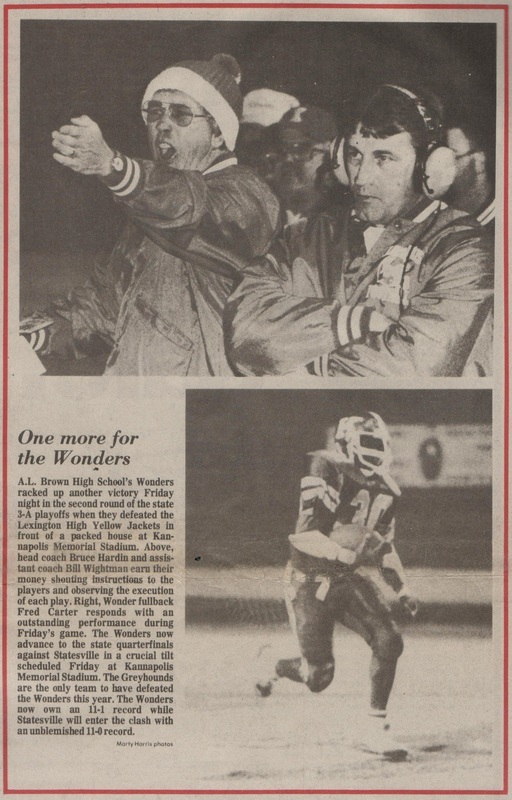 Wonders first state title would come in coach Bruce Hardin's first year as head coach. 3. 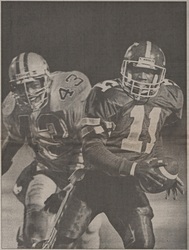 Wonders would avenge their only regular season loss to the Statesville Greyhounds in playoffs. 4. 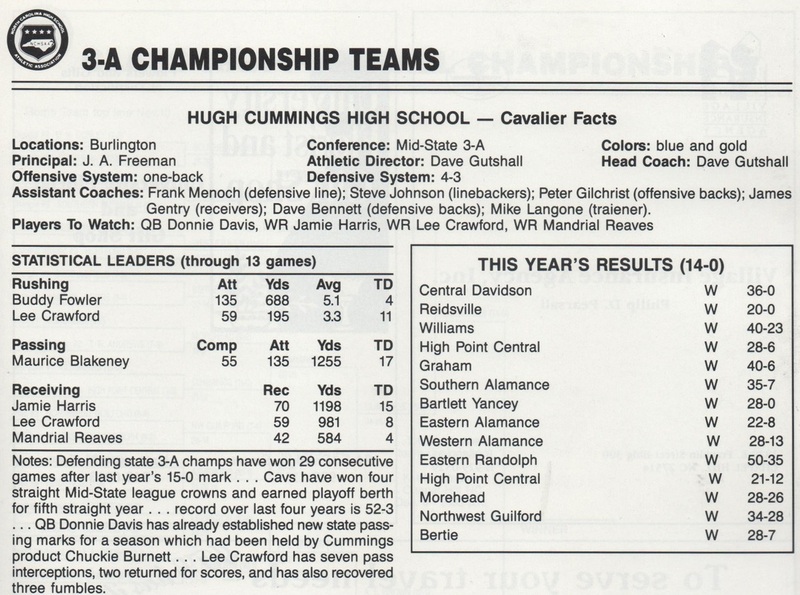 Wonders would hand the Burlington Cummings Cavaliers their only shut out in 100 games. 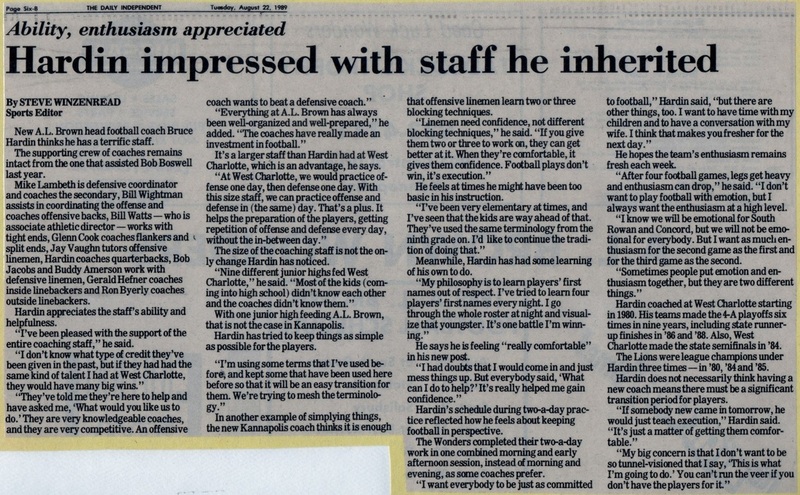 "Feels Like Heavy Weather Ahead"
In coach Hardin's inaugural season he would suffer his first loss at the hands of the very talented Statesville Greyhounds at Memorial Stadium. Signs would show early that there was work to do in the Wonder camp. A thumping like this at the hands of the greyhounds would only fuel the Wonders fire to get at the dingy dogs again later in the season. The following week at East Rowan the Wonders offense would shift into overdrive as a very balanced Wonder attack put up fifty four points on the weary mustangs in Rockwell. The season was beginning to show signs of promise as the Wonders breezed through another Friday night virtually unchallenged. Things would change the following Friday night as they would travel to Mt Ulla to face a more formidable opponent in the Falcons of West Rowan. After drubbing the Falcons of West Rowan 20-8 the following Friday night the Wonders would travel to Spencer to take on the Cavaliers of North Rowan. The Cavaliers would prove to be no match for the Wonders who firing on all cylinders this night going on to a 40-0 romp of the out classes Cavaliers. As week seven of the regular season approached the Wonders found themselves sitting at 5-1 over all and undefeated in the SPC. 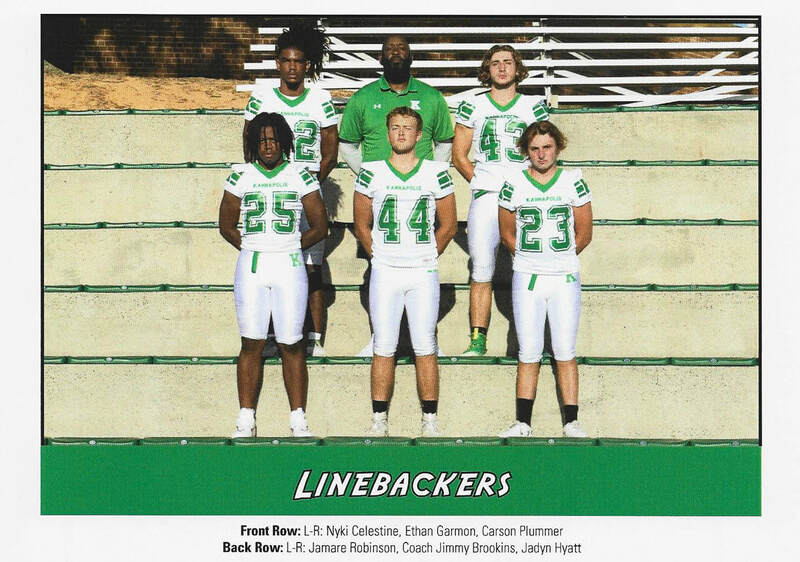 The next challenge was going to come from Central Cabarrus and their bruising runningback Natrone "The Natrone Bomb" Means who was wreaking havoc on the South Piedmont Conference. 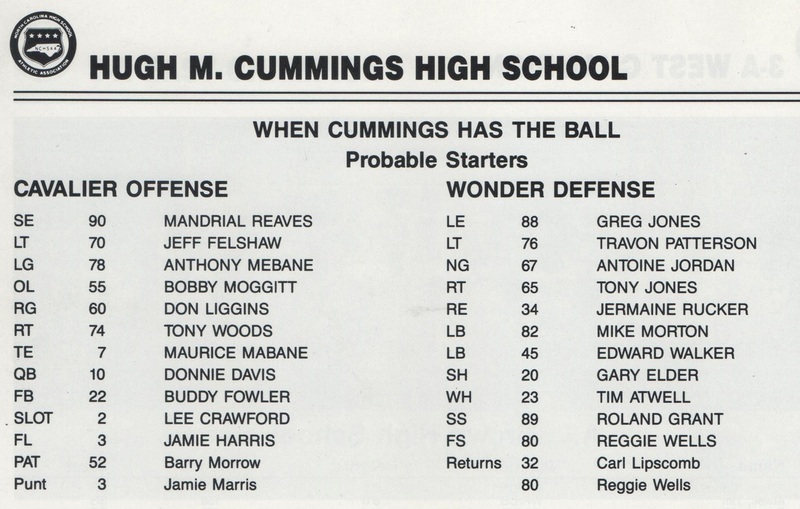 The Wonders defense would have a huge challenge ahead of them. This was not going to be a cake walk for the green and white on this Friday night. 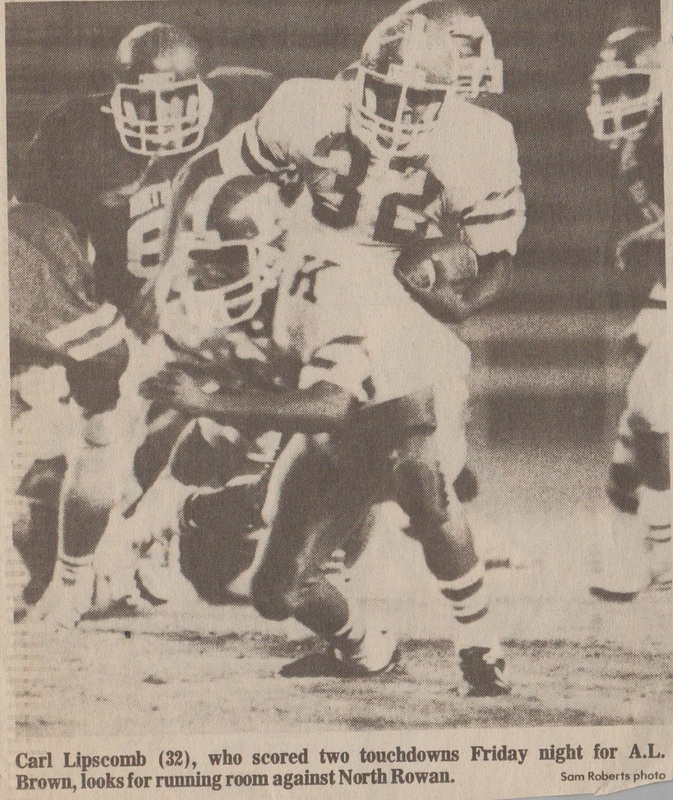 Next up for the Wonders who were sitting comfortably in the drivers seat to take the SPC were the upstart Trojans of Northwest Cabarrus who had not come close to beting the Wonders since 1976. The Trojans were not much on firepower, but did have a pretty sound defensive team. The Wonders knew they needed to take this game seriously not looking ahead to the Concord Spiders the following Friday night in Concord. 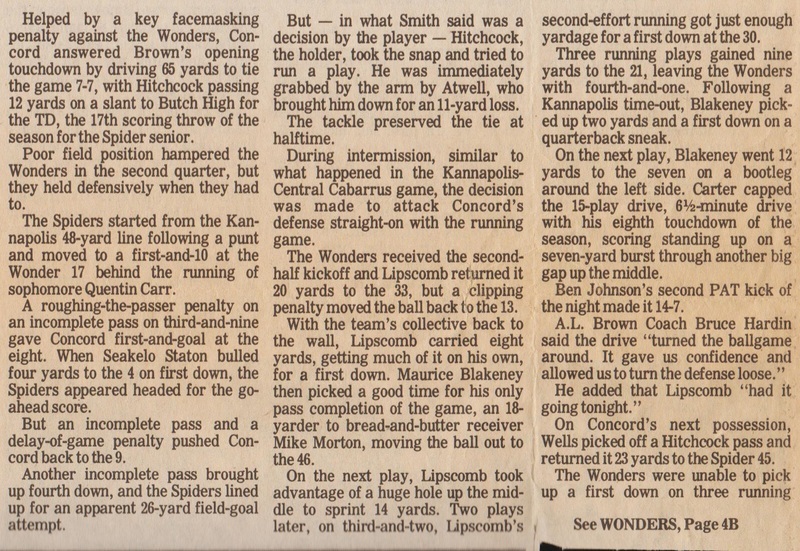 The Wonders would bring a balanced attack to Memorial Stadium taking the win setting up your typical showdown with Concord for the outright SPC title.. The next points would come from Kicker Ben Johnson who connected on this 23 yard field goal after the Kannapolis offense failed to convert on a 3rd and 7. This would carry the Wonders into intermission with a 9-0 cushion going into the second half. On the ensuing Lexington Kickoff the Wonders ran two plays for positive yardage then were hit with a holding penalty bringing up 2nd and long. QB #11 Maurice Blakeney then hit TE #82 Mike Morton on a short slant that put the Wonders in range of getting a first down. On third and short Wonder RB #30 Fred Carter found a huge gap up the middle and took off for paydirt going 53 yards before fumbling the ball. Wonder wideout *#80 Darrell Allison was in perfect position to capture the melon that ended up becoming a lucky version of the Fumblerooskie taking it in the final seven yards for the touchdown. This put the Wonders up 16-7 on the Yellow Jackets. On the next Lexington possession Lexington RB Rodney Simmons coughed the ball up at the Lexington 34 giving the Wonders excellent field position. Unable to turn the field position into a touchdown the Wonders settled for another Ben Johnson field goal this time from 29 yards out. This would put the Wonders up 19-7 on the Yellow Jackets just under eight minutes left in the game. 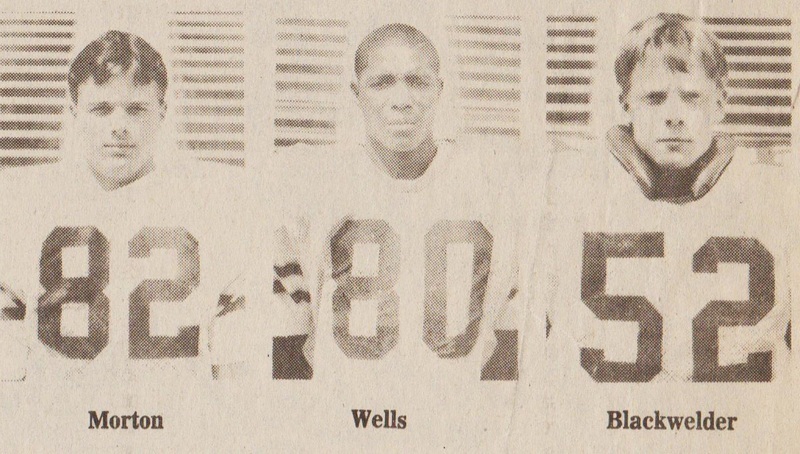 "Bring on The Shelby Golden Lions"
The Wonders and Golden Lions of Shelby had never faced each other in competition before, and this match up was sure to be a landmark event. To make matters worse the game would be played at the higher seed Shelby venue. The Wonders had remained home for the first three rounds, and now they were getting ready to get out of their comfort zone. 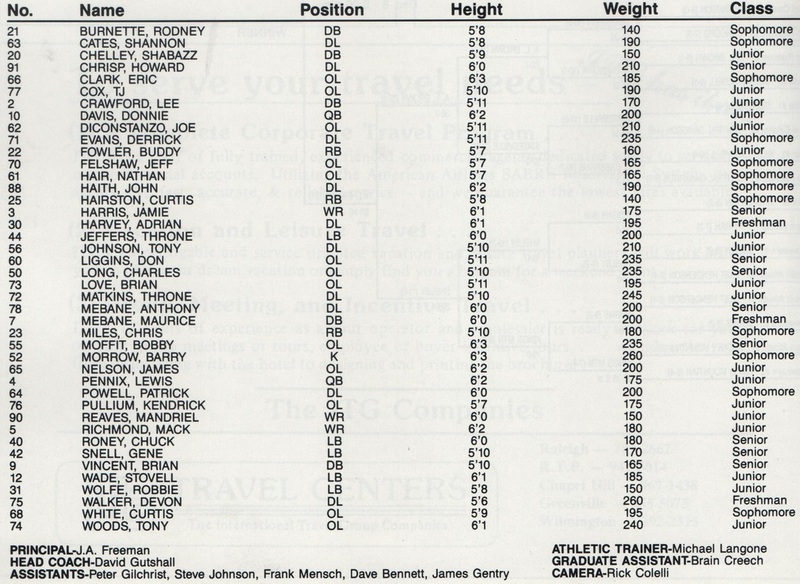 The Shelby Golden Lions had one pretty impressive past, and the Wonders knew this. No program in the state outside of Richmond County had been as successful in the playoffs, and the Golden Lions had already tasted the thrill of State championships in their past so they were no stranger to the dance. The Wonders had been close in 1984 only to be humiliated at home by the Tarboro Vikings, and everyone was wondering could the Wonders pull off the big one. They were now one away from the big one, but it looked like for all practical purposes the big one had come one week early in the form of the Golden Lions. 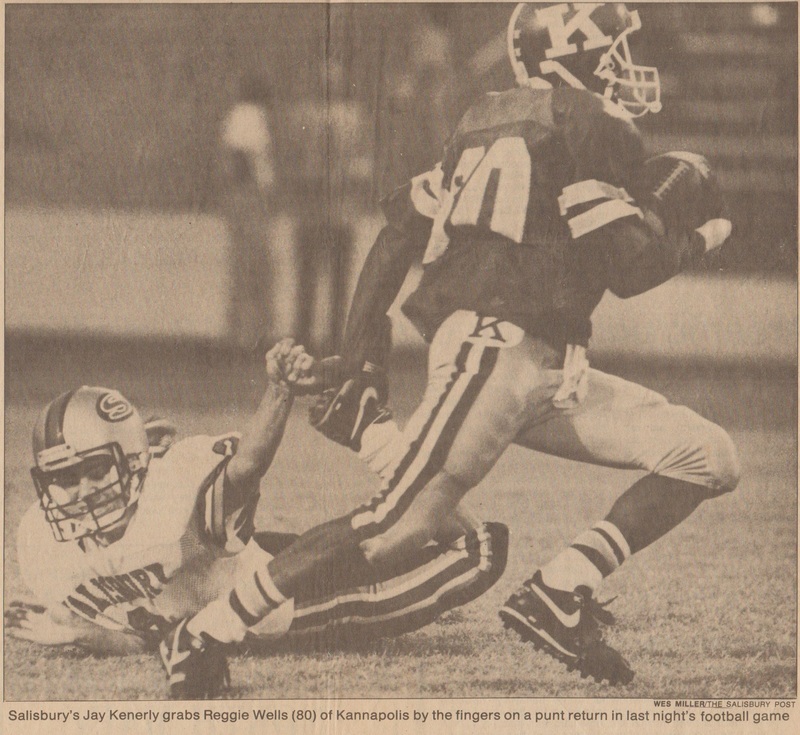 Spirits were high in K-Town that week, and everyone had begun to take this 1989 team as the real deal capable of delivering the goods, still in the back of everyone's mind was a nagging voice saying "We've seen this before, and is this too good to be true. 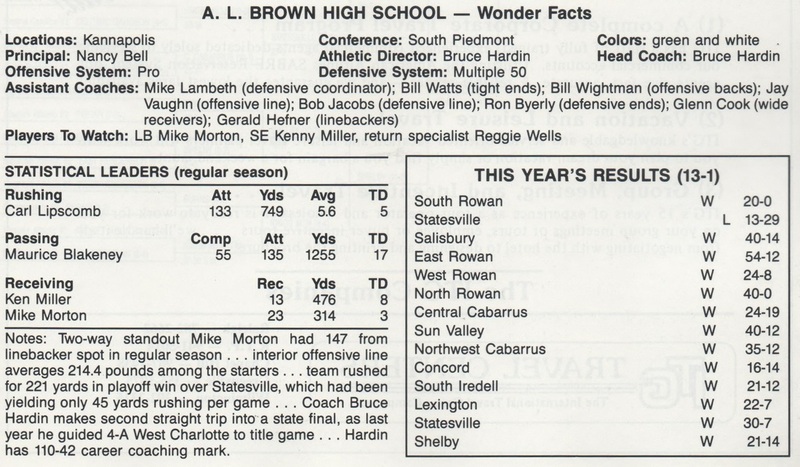 (Picture Left) The program from the 1989 State AAA Semi Final Game with the Shelby Golden Lions at George Blanton Stadium in Shelby. (Picture Below) Community gets behind it's Wonders as they make their deepest bid to get to the State Title game since 1984. Although a new king had been crowned all was not done. The Wonders were now looking at one of their toughest oponents yet in the Cavaliers of Hugh Cummings High School of Burlington the defending State AAA Champions. 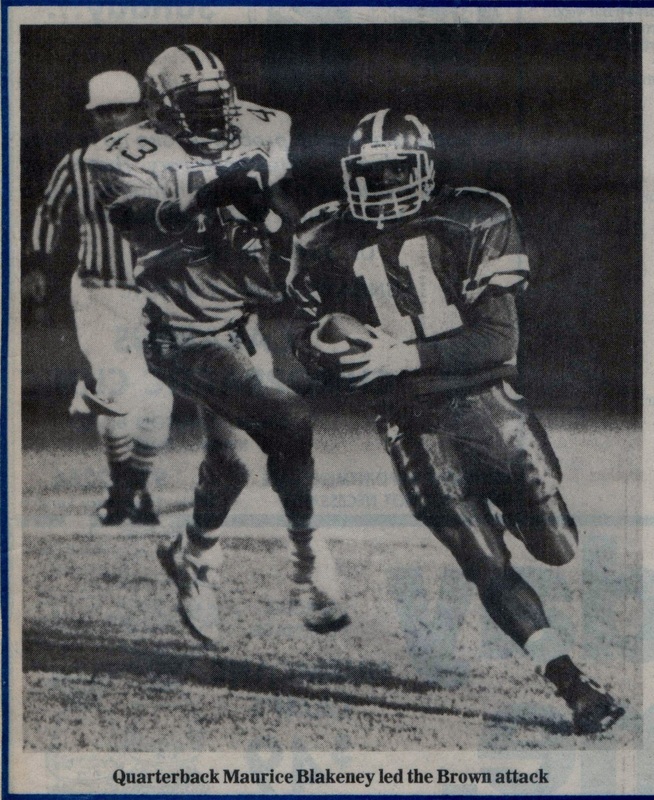 The Cavaliers coached by Steve Gutshall would be coming into Kenan Memorial Stadium riding a twenty nine game winning streak led by one of the best quarterbacks in the state in Donnie Davis. The Wonders had their hands full from the git go, and this was not going to be a cake walk. 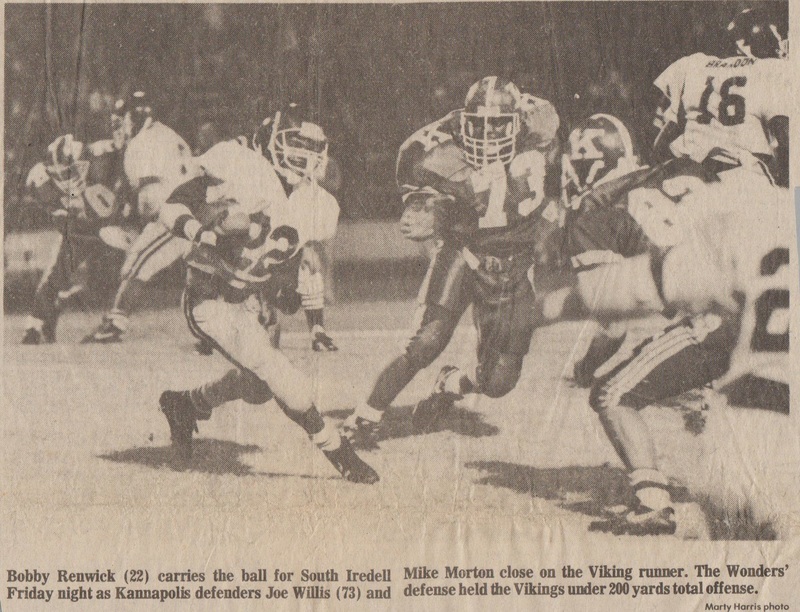 The Cavaliers made the Tarboro Vikings look like bridesmaids in the talent pool, and didnt have to drive too far out of their way to get to Chapel Hill, so for all practicle purposes this was just another home game for the defending state champs. As winter weather forced the AAA state championship game to be played on Sunday the 10th the game was already looking as if it were cursed from the start. This just made an uneasy situation even more so. The Wonders would have to pull out everything they had to get this win, and mother nature was not cooperating. 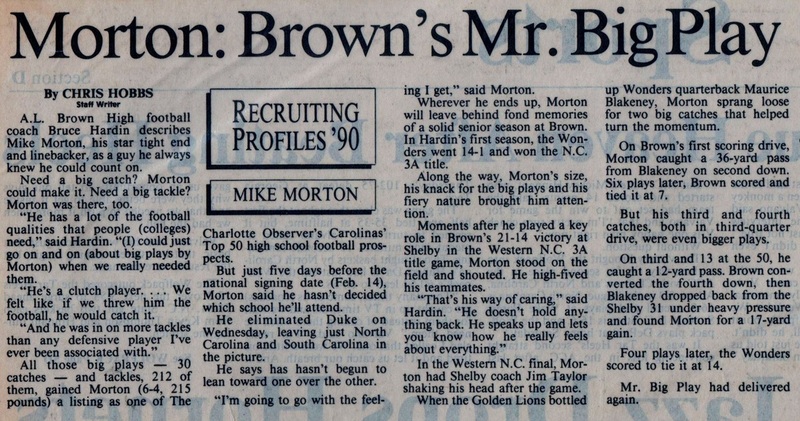 On a cold December night in Chapel Hill after bad weather had forced the 1989 State Championship game to be postponed until Sunday, The Wonders of A.L. 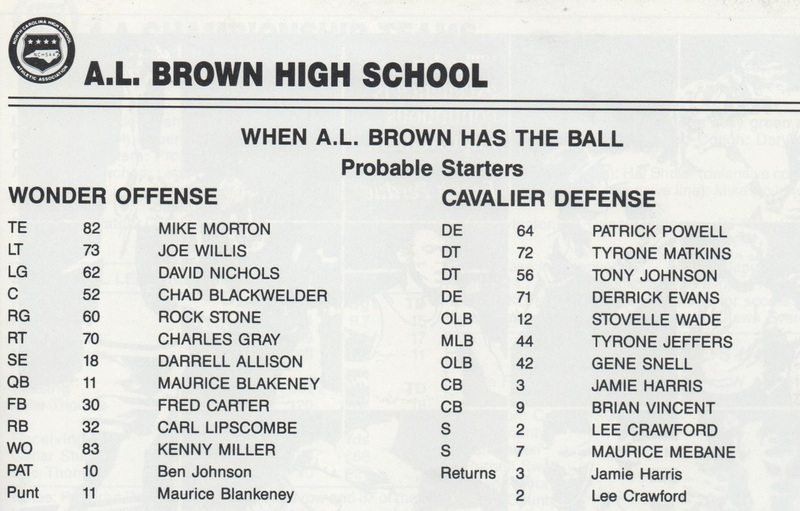 Brown finally met up with the defending State AAA Champion Hugh Cummings High School Cavaliers from Burlington. 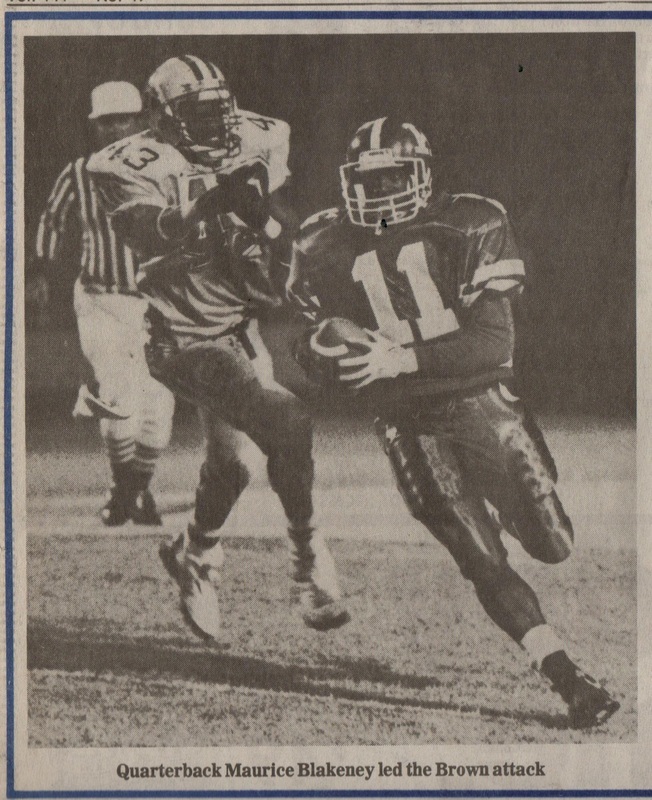 The Cavaliers coached by Steve Gutsall was an offensive powerhouse led by standout QB #10 Donnie Davis who had passed for over three thousand yards coming into the game. Davis however would be without his star receiver Jamie Harris due to a suspension earlier in the week. No problem because the Cavaliers were loaded with talent and riding a twenty nine game winning streak. 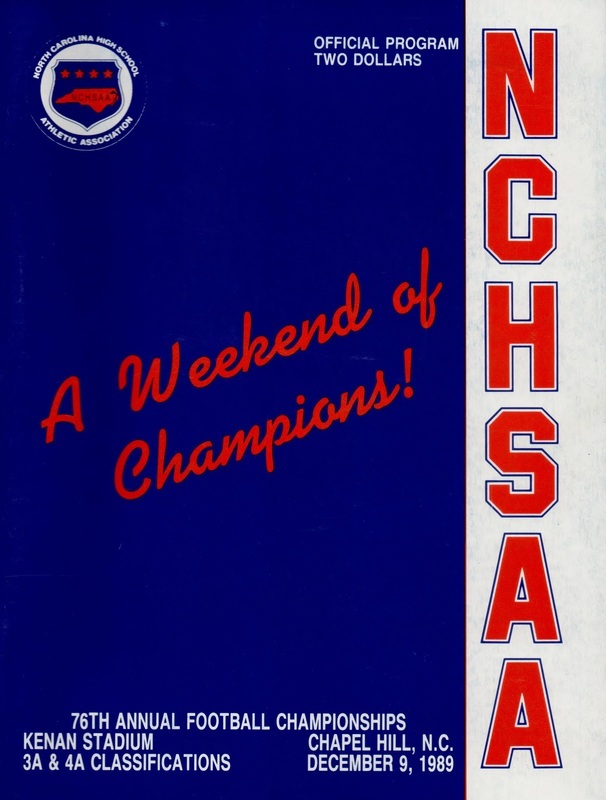 The Wonders were no flash in the pans as well as they had knocked off some of the best competition the 3A had to offer in the likes of Lexington, Statesville, and Shelby just weeks prior. This game had all the indications of an offensive marathon, but as the first half began it became quite clear that points were going to be a premium for both sides as the defenses showed up in force. After intermission the Wonders and Cavaliers resumed play for the second half, and as the minutes passed by the Wonder faithful who had traveled some six thousand strong felt as if the second half was going to be a repeat of the first. Both teams moved the ball sparingly on the other while defenses flexed their muscles holding the other on downs forcing punting situations. The Wonder offense after once again found themselves deep in Cummings territory at the eight yard line when they were hit with a holding penalty backing them up to the Cavalier eighteen yard line. After two unsuccessful running attempts the Wonders were surely facing a passing situation with third and goal from the Cavalier eighteen. 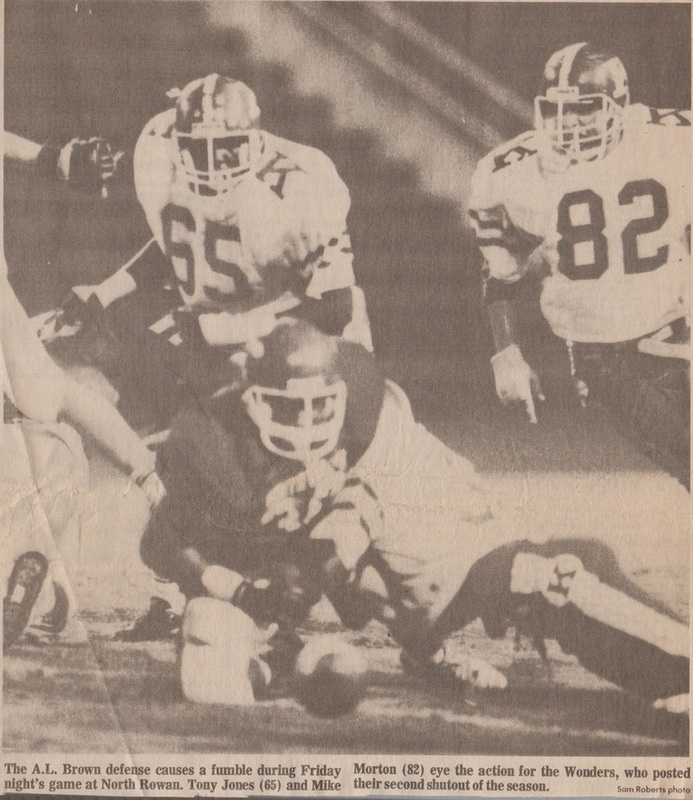 Bruce Harding called an inside scissor counter play that broke Wonder wide out Reggie Wells around the left sideline for the first touchdown of the evening. Wonder kicker Ben Johnson would make the PAT to put the Wonders up 10-0 with 10:49 left in the contest. On the ensuing kickoff the Cavaliers would go on their deepest drive yet into Wonder territor getting to the Wonder five yardline, and on 4th and goal were denied points that led to another great Wonder drive. The Wonders marched methodically downfield to just inside the Cummings 43 yardline. Once again the great drive was negated by a holding penalty that backed the Wonders up inside their own forty seven. Facing third and a short mile Wonder quarterback #11 Maurice Blakeney dropped back and found Reggie Wells with man on man coverage for a 53 yard touchdown strike with just 5:32 left in the game. 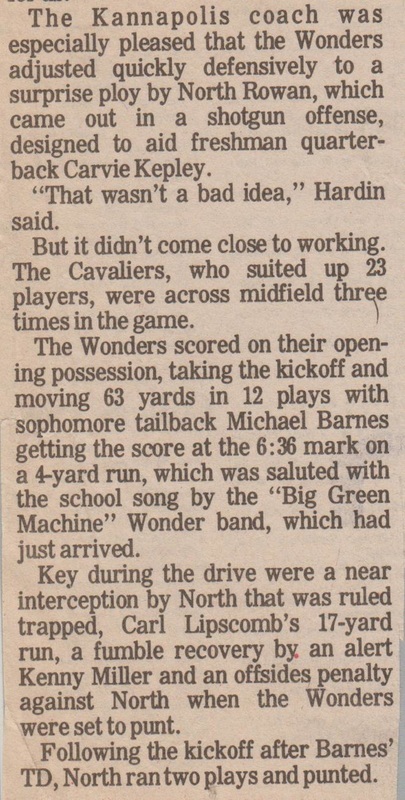 Ben Johnson would get the PAT, and the Wonders were now feeling that victory was within reach with a comfortable cushion of 17-0 over the Cavaliers. The final points of the night would be creditied to a Wonder defense that held the Cavaliers to negative one yard in the rushing game, and making the Cummings offense go 0 for five in the third down conversion statistics. The score would come after Donnie Davis dropped back to pass at the Wonder twenty three and was hit from the right corner by lineman #76 Travon Patterson who caused Davis to cough up the football. The ball was scooped up immediatley by #88 Greg Jones and taken the remaining twenty three into the endzone for the nail in the coffin. 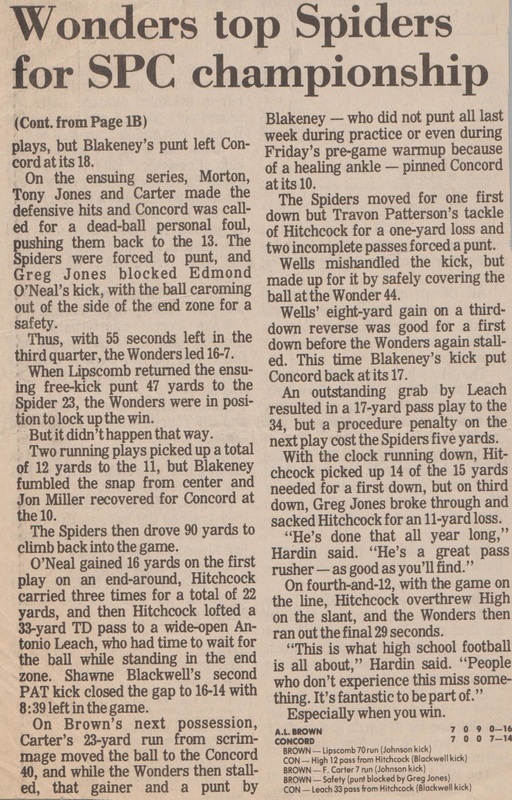 Ben Johnson would go perfect for PATs and with 39 seconds left the Wonders were up 24-0 on the shell shocked Cavaliers who had not been shut out in 100 games. All Cummings quarterback Donnie Davis can do now is watch helplessley as the final ten seconds tick off the clock. The inevitable has become a reality. Kannapolis Wonders-24 Burlington Cummings Cavaliers-0. The Wonders executing a perfect gameplan had saved their best performance for last and in doing so brought Kannapolis its first ever state AAA title. Some six Thousand fans cheered ecstaically as the the seconds tick away and the title comes to K-Town. A championship that Bruce harding would later say belonged to Bob Boswell for all the years he had gone in search of that elusive title only to get dissapointed time and again. The last remaining players from a Boswell coached team had come under new management that finally got the Wonders over the hump. 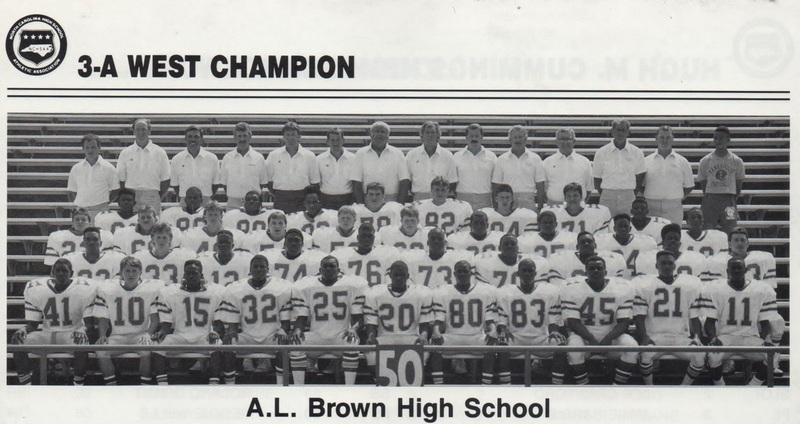 Congratulations to the 1989 state champions. "The Fat Lady Sings, Wonders are State Champions"
"And the Celebrations in K-Town Begins"
And so a dream season concludes with a well deserved state title. 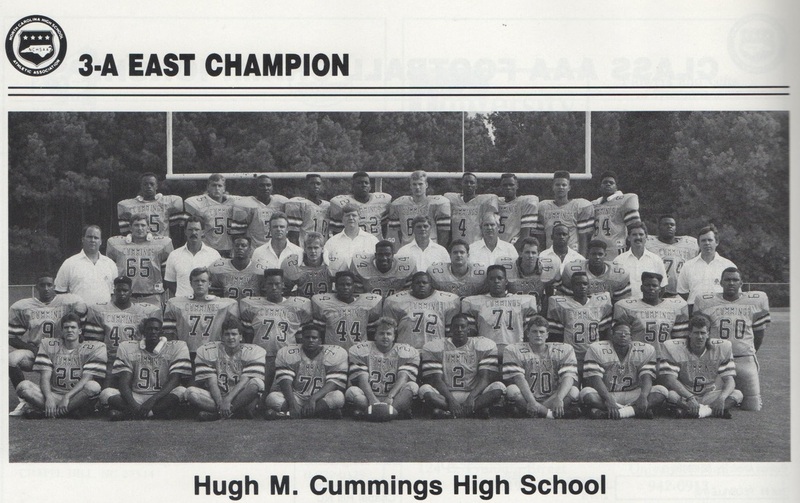 The 1989 Wonders had come a long way since their September 29-13 loss to the Statesville Greyhounds to garner the school's first State Title in program history. The 89 Wonders proved that guts, and determination could prevail as long as everyone stayed focused, and in doing so they soared to heights never before seen by a group of Wonders. 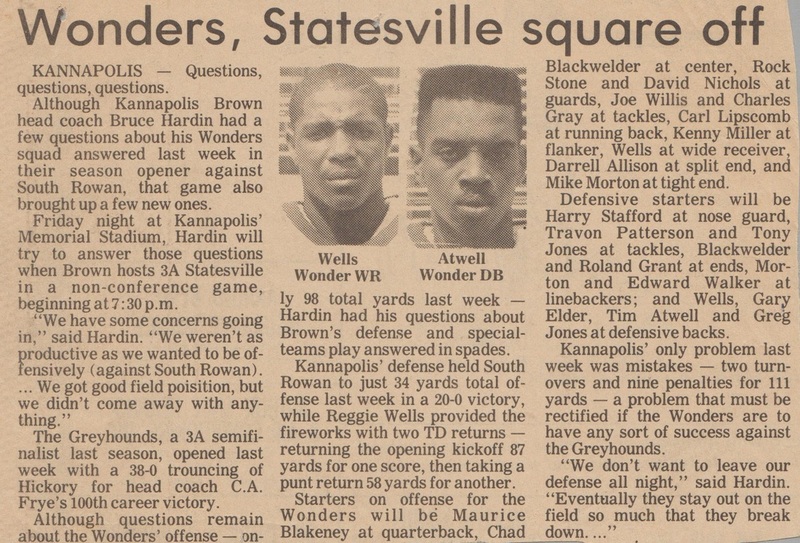 It would be two years later in 1991 before the Wonders would see the field at Kenan Memorial Stadium for their second appearance in the state title game under Bruce Hardin. 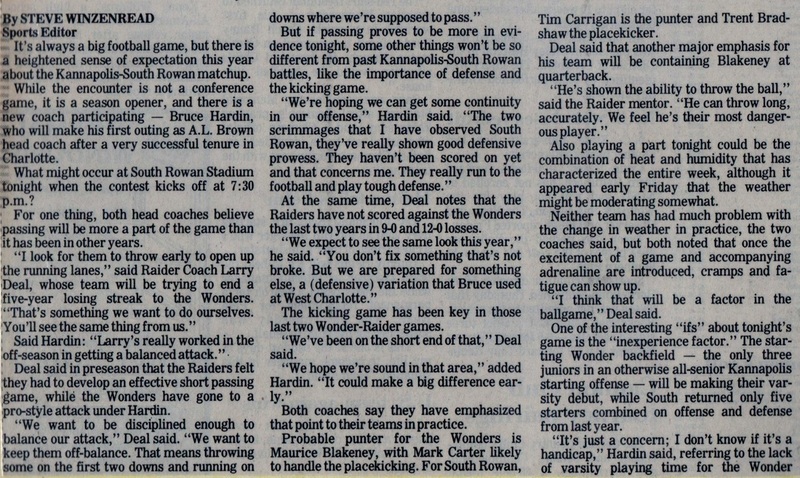 That night would not fair as well as the 1989 team experienced with the Wonders falling 24-14 to the Red Raiders of T.W. 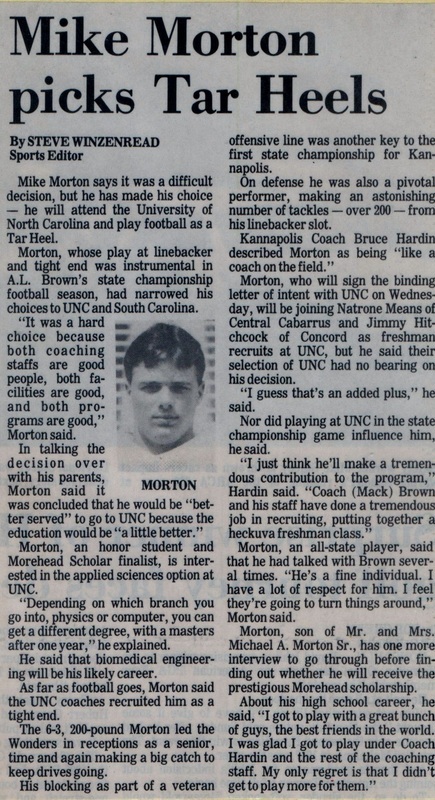 Andrews, but five years after this the Wonders would find the stars aligning in the right place once again as they would Well, Proceed to 1997 state champs to hear about that one. And so a dream season concludes with a well deserved state title. 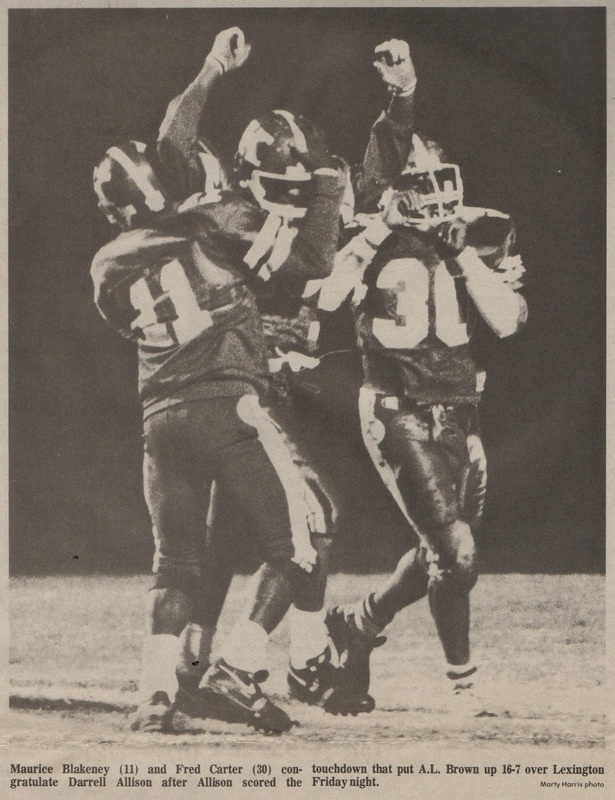 The 1989 Wonders had come a long way since their early September 29-13 loss to the Statesville Greyhounds to garner the school's first State Title in program history. The 89 Wonders proved that guts, and determination could prevail as long as everyone stayed focused on the task at hand, and in doing so they soared to heights never before seen by a group of Wonders. 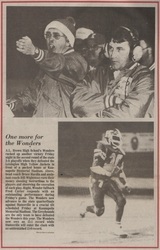 It would be two years later in 1991 before the Wonders would see the field at Kenan Memorial Stadium for their second appearance in the state title game under Bruce Hardin. 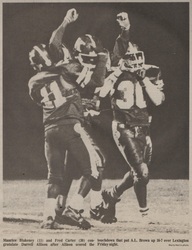 That night would not fair as well as the 1989 team experienced with the Wonders falling 24-14 to the Red Raiders of T.W. 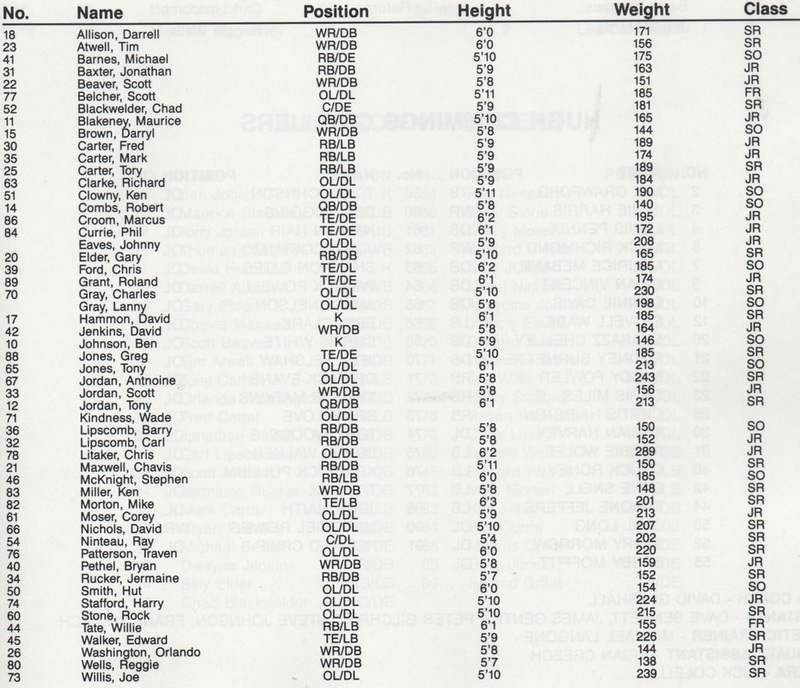 Andrews, but five years after this the Wonders would find the stars aligning in the right place once again as they would Well, Proceed to 1997 state champs to hear about that one.